CONSTRUITE EN 1876 ET RÉNOVÉE EN 1994 EST DEVENU AUJOURD'HUI UN MUSÉE JUIF. IL NE RESTAIT PLUS ASSEZ D'HOMMES JUIFS POUR FAIRE LE MINIANE. 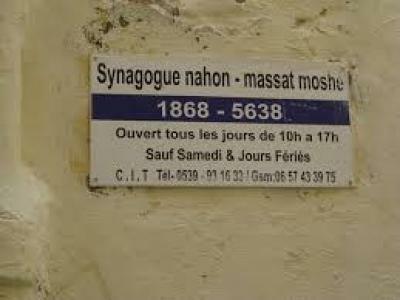 EN 1956 IL Y AVAIT 17 SYNAGOGUES A TANGER AVEC 17.000 PARTICIPANTS.